In summer 2016 CircusMASH invited me back into their cast, this time to be part of their newest community show, Hullabaloo. 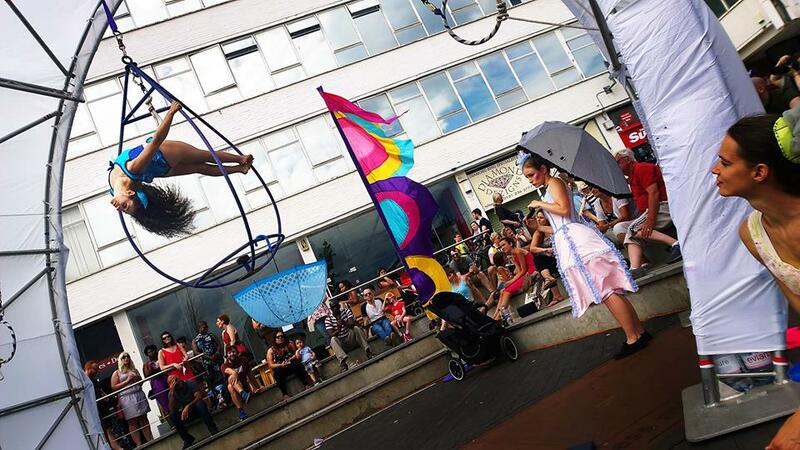 In the usual style of CircusMASH’s outdoor community productions, audience members were taken on a journey of amazing aerial and ground-based circus acts with fun workshops in between that they could get involved with. 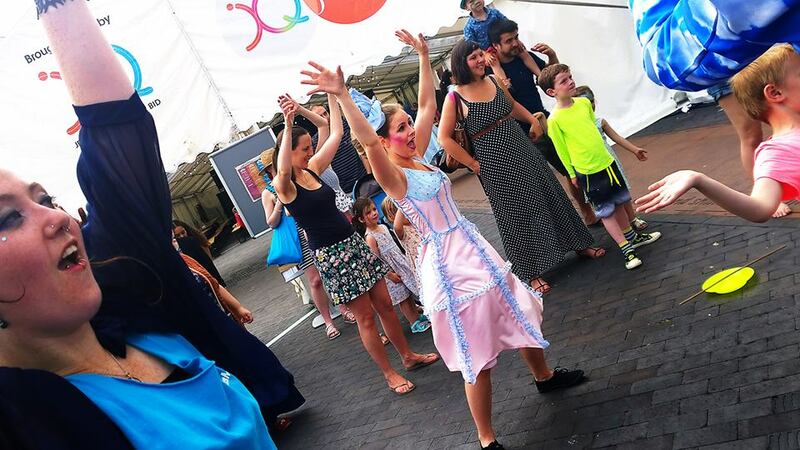 I was one of two ground-based ‘Muse’ characters in umbrella dresses that tied the aerial performer’s narrative in with the aerial and juggling workshops. The two Muses are as thick as thieves; cheeky and quick-witted, and can be found disrupting attempts at the tight wire, leading congo lines, and generally getting up to mischief. 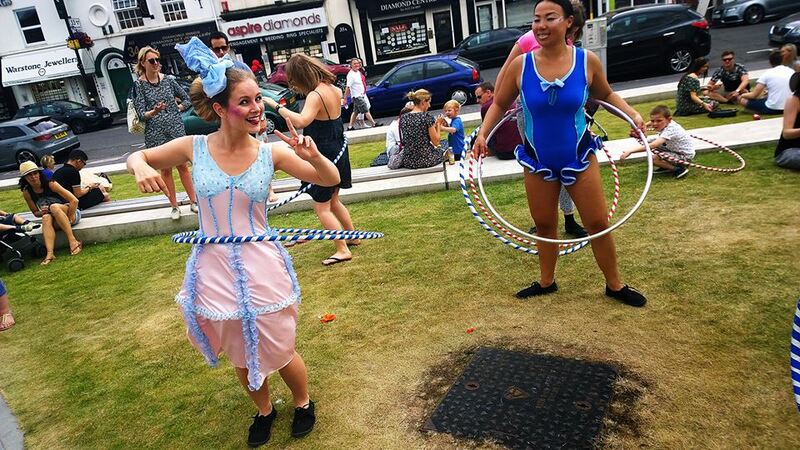 They can help you to learn to juggle and what-not too…if you ask nicely! 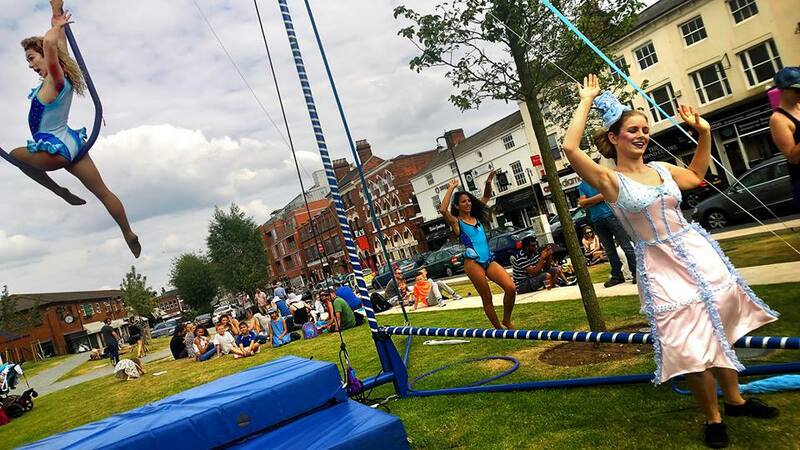 Hullabaloo was a colourful and immersive, enjoyable circus theatre show that toured various outdoor events around Birmingham and also north to one in Sandbach. The images and videos speak more than any words though, so check them out!